In a short, but action packed week, the SPX reached both our upside and downside targets. As mentioned last week, there’s a well defined support/resistance zone in play, and the longer-term trend will be determined by the ability of the SPX to break above the November 7 high (bullish) or below the November 23 low (bearish). 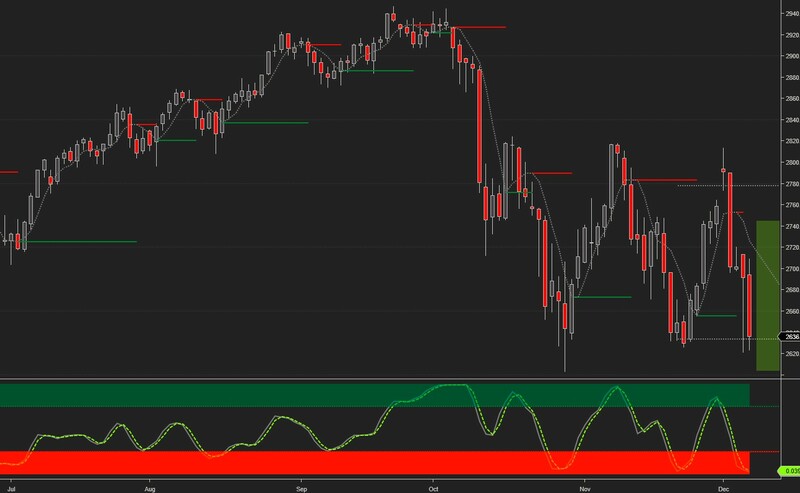 For the time-being, market breadth and sentiment indicators are all oversold which, barring some catastrophic news over the week-end, favors a rebound early next week. The way they differ from channels is that they are fixed and predetermined, and don’t change values during the day. 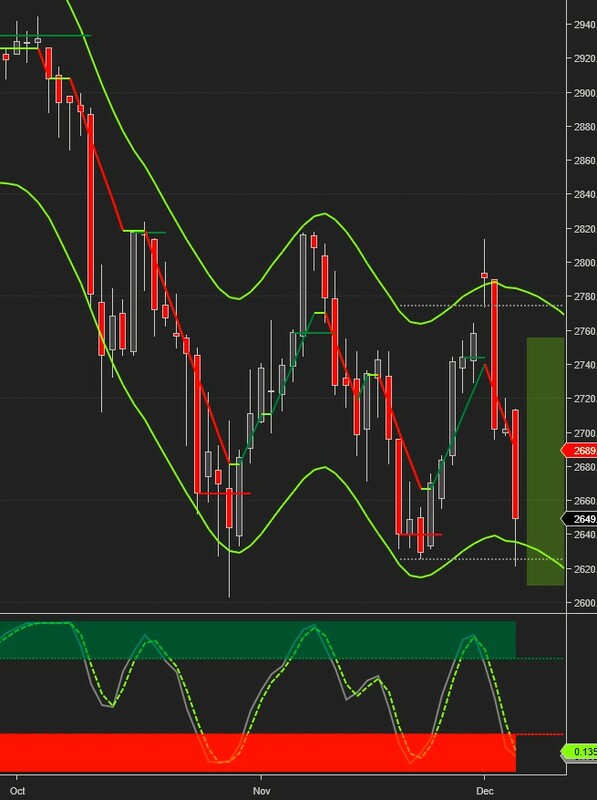 Weekly Buy pivot at 2660. The projected trading range for next week for SPX is 2600-2750. Oil continues trading above support at $50 on news of an OPEC supply cut deal. We would caution, however, that OPEC members are notorious quota cheaters and any such trial balloons should be taken with a grain of salt. Current signals: Daily Buy/Hold, Weekly Sell. 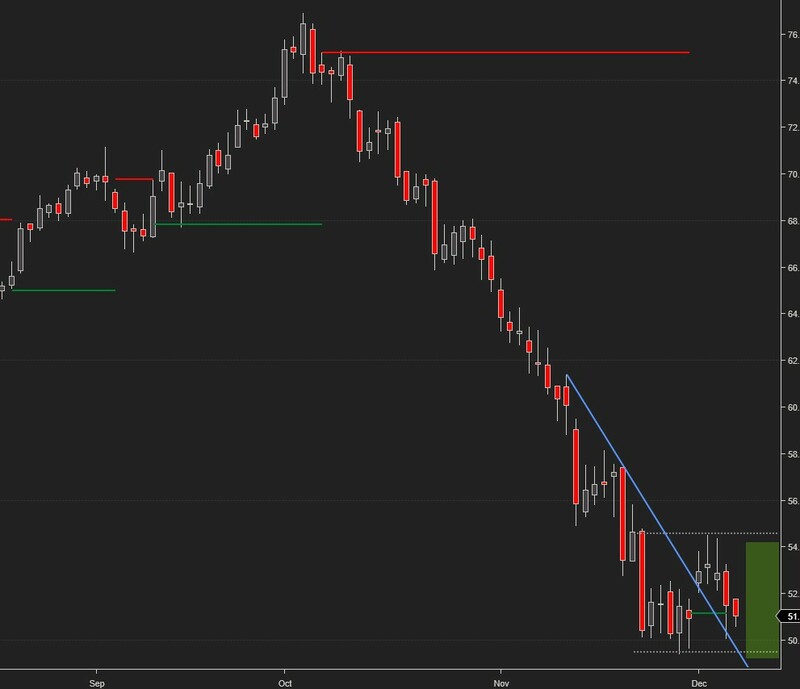 Gold remained on a buy signal and broke above the weekly upside target. Disclaimer:Futures and forex trading contains substantial risk and is not for every investor. An investor could potentially lose all or more than the initial investment. Risk capital is money that can be lost without jeopardizing ones’ financial security or life style. Only risk capital should be used for trading and only those with sufficient risk capital should consider trading. Past performance is not necessarily indicative of future results. George Krum is a trader, author, and developer of many apps and original technical indicators.